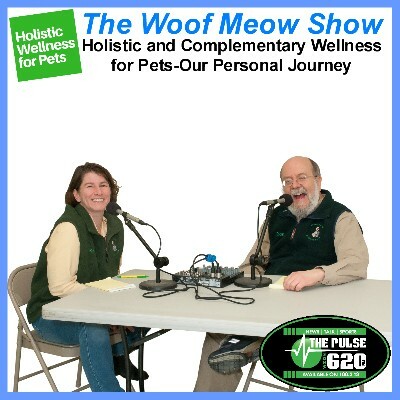 This is the second in a series of shows on Holistic and Complementary Wellness for Pets. In this show Kate and Don talk with Bette Schubert from Bravo Pet Foods. Bette tells how having her dog die after being fed a high-quality dog kibble contaminated with aflatoxin led her to teach herself about feeding a raw diet and starting Bravo Pet Foods. She discusses both the benefits and obstacles of feeding pets a raw diet and shares her experiences with pets that have benefited greatly from feeding a raw diet. Kate and Don also share their experiences feeding their pets a raw diet. Pet Nutrition – Should I Feed My Pet A Raw Diet? 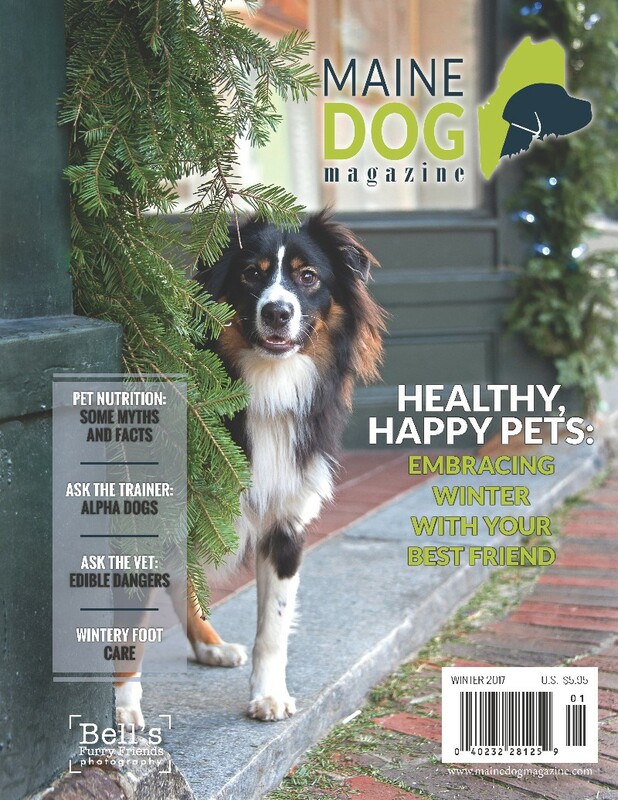 Raw diets, either frozen or freeze-dried, are becoming increasingly popular with pet parents that want to feed their pet the best diet possible for optimal health and wellness. We started feeding our pets a raw diet in 2001 and started selling commercial raw diets at Green Acres Kennel Shop in 2002. Clients frequently ask me about my experience feeding and selling raw diets as well as specific questions about the raw diets we sell in the store. This post contains links to articles and podcasts that specifically address feeding pets a raw diet. I will update it as we add additional information. If you prefer to discuss this in person, please stop by the store. We enjoy talking about nutrition and helping people find food that will benefit their pet and budget. 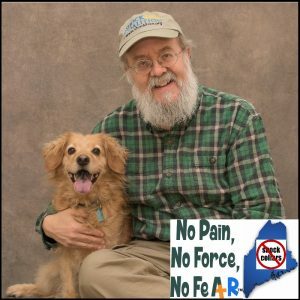 On April 28th of 2016, Green Acres Kennel Shop hosted animal nutritionist Dr. Richard Patton for an educational seminar entitled The Science and Dogma of Pet Nutrition. This presentation is now available as a video. Dr. Patton has over forty years of experience as a consultant on animal nutrition working in 22 different countries with everything from livestock and zoo animals to companion pets. He was an adjunct professor at Pennsylvania State University for 15 years and is the author of Ruined by Excess, Perfected by Lack, the Paradox of Pet Nutrition, a book which discusses pet nutrition and the pet obesity crisis. Not beholden to any one company, Dr. Patton is an independent nutritional consultant; his main concern is the health of our pets. Last fall Paula and I had the opportunity to attend one of Dr. Patton’s seminars. We were not only impressed by his passion and breadth of knowledge on pet nutrition but were equally impressed by Dr. Patton’s ability to take technical concepts about nutrition and explain them from a common sense perspective. Dr. Patton discusses the following topics; the essential ingredients for optimal nutrition, wet food versus dry food, the drawback, and benefits of raw and natural diets, the role of behavior in nutrition; both the pets and the owners, an insider’s view of the pet food industry, and the pet obesity epidemic. He also answers several questions from the audience. I want to thank Vital Essentials (http://www.vitalessentialsraw.com/ and https://www.facebook.com/VitalEssentialsRaw/) for helping to make this seminar and video possible. Pet Nutrition – What Do You Feed Your Dog? Most of you know that I own Green Acres Kennel Shop and that we sell pet food. As such, it is not uncommon for someone to walk into the store and ask me, “Don, what food do you feed your dog?” Based on experience, I find that many people expect me to say “I feed my dog brand X because it is the best food for all dogs!” Sadly, when asked the same question, this is often the answer they hear from pet stores, breeders, shelters, and even veterinarians. Since that is not what they will here from me, and since my response will not be that simple, I thought I would answer it here. If someone sells or even gives away pet food, he or she has a financial interest in which food they recommend. Green Acres’ sells pet food, and we gain financially when you purchase pet food from us. However, one of the things that I believe makes us different from many purveyors of pet food, is that once people get to know us they understand that all of us in the store care greatly about nutrition and want to help you find the food that will be the best for your dog and your budget. In fact, because we all have different dogs, with different needs, if you ask each staff member what they feed their dog you will discover you will get different answers. There is no single food that is the best choice for all dogs and all situations. 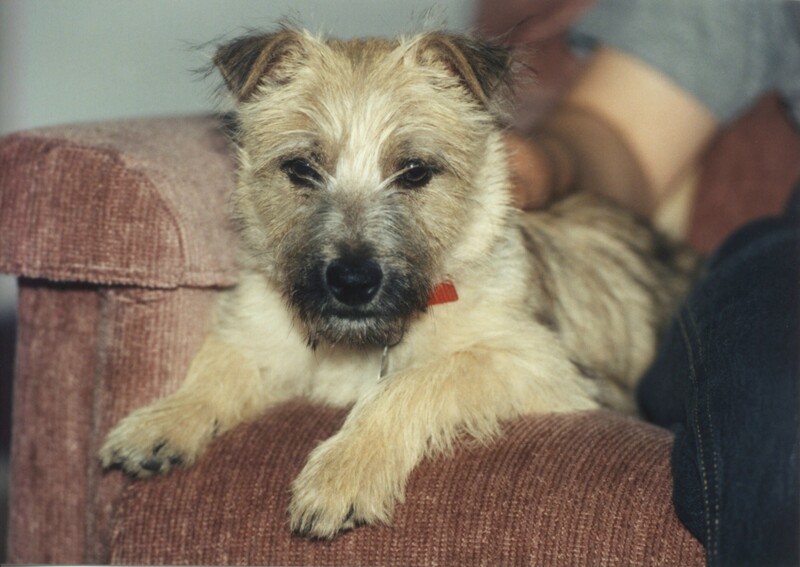 Twenty years ago I predominantly fed my dog’s kibble. 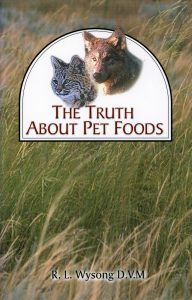 Additionally, I have fed; canned food (wet food), homemade diets, frozen raw diets and freeze-dried raw diets. 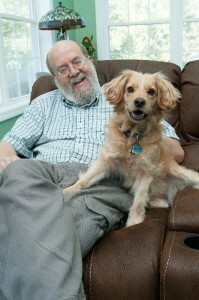 In 2002, we started selling Steve’s Real Food for Pets, a commercially prepared, frozen, raw food in the store. 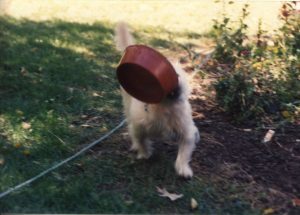 At the time, we had five dogs, so economics dictated that we fed a raw meal once a day and kibble once a day. 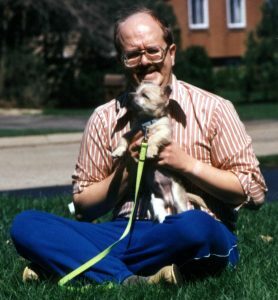 When we were down to two dogs, we switched to feeding 100% raw. I made this choice after a great deal of research. My fundamental reason for feeding a raw diet is that it is primarily composed of muscle meat, organ meat, and bone. Depending on the brand there is very little or no soluble carbohydrates in these foods. 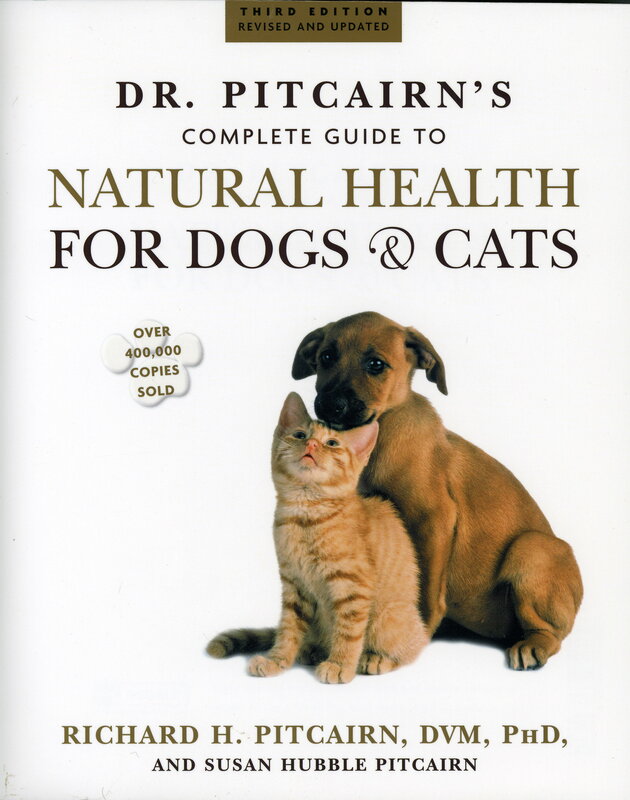 A diet with little or no carbohydrates is the natural diet of a carnivore like a dog or a cat. Even the best kibble is going to be high in carbohydrates which are not a necessary nutrient for dogs or cats. Our Golden Retriever Tikken lived to be 16, and I attribute that was partially due to the nutritional choices that we made for her. When Tikken passed, we decided that we would down-size for our next dog. Our target was a dog weighing between 20 and 30 pounds. We did that for two reasons. One, both my wife and I have some back problems and carrying a 50lb dog (Tikken) up and down the stairs the last year of her life was not always easy. However, even more importantly to me, I wanted to make sure that we would always be able to afford to feed our next dog the best diet possible throughout her life. That is easier with a small dog who eats less. Since the day Muppy joined us, just over three years ago, she has been fed a commercially prepared, frozen raw diet, which we occasionally supplement with canned food or freeze-dried food. She is fed a variety of frozen raw foods made by Bravo, Steve’s Real Food for Pets, and Vital Essentials. We rotate the primary protein source every time we purchase food and also rotate between brands because each has advantages. Vital Essentials and Steve’s both offer their formulas in small nuggets which make portion control easier. We also keep freeze dried diets from Bravo and Vital Essentials on hand for those occasions when we fail to defrost Muppy’s frozen ration in advance of meal time. We vary protein sources at every purchase, rotating between beef, chicken, pork, turkey, and turducken. Additionally, we supplement her meals with freeze-dried green tripe, coconut oil, a probiotic and Wysong Dentatreat. So that is how I answer the question; “Don, what food do you feed your dog?” Is that what I would suggest you feed your dog? What I recommend will depend on your dog’s nutritional needs and what you are looking for in a dog food because there is and never will be a single brand of food that will be the best food for every dog. Kate discusses raw pet food diets; frozen and freeze-dried, with Dee Ferranti of the Carnivore Meat Company, maker of Vital Essentials Pet Food, and Jodi Langellotti, from pet food distributor, Pet Food Experts. 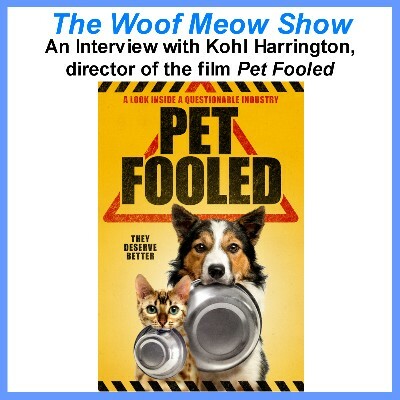 If your pet has health issues that may be related to nutrition (food allergies, digestive difficulties, obesity, chronically underweight, diabetes, kidney disease) or if you just want to learn more about pet nutrition and how you can do the best for your pets nutrition and your wallet, you will not want to miss this show. Key discussion points include: the benefits and objections to feeding pets a raw diet, food safety issues and why feeding a commercial raw diet for your pet may be safer than feeding yourself or your pet from what you buy from the meat department at the supermarket, the economics of feeding raw and how combining raw food with kibble can benefit your budget and your pets health, why raw food is a healthier and more nutritious choice, the differences between frozen raw and freeze-dried raw diets, how to transition a pet to a raw diet, the history of the Carnivore Meat Company, how Vital Essentials sources its ingredients to ensure quality, and the numerous products in the Vital Essentials line.